The New Nicotine Alliance has begun a campaign opposing blanket vaping bans at work and in outdoor and indoor public spaces and they need your support. Vaping is NOT covered by the current smoking bans meaning technically you can vape anywhere – however the NNA whilst pointing this out accept even they don’t want to see the use of e-cigarettes allowed everywhere! CASAA is thrilled and honored to be a participating member of the inaugural fundraising event, #VapesGiving. Hosted by the American Vaping Association (AVA), funds collected during #VapesGiving (December 13 – 19) will be distributed to more than twenty state and national associations working tirelessly to defend access to vapor products. When Derek Yach, president of the Foundation for a Smoke-Free World, emailed 344 people last week, offering them grants from his tobacco funded foundation, he didn’t “BCC” those email IDs – he made his mailing list public, letting everyone know who else he was in touch with. Survey data released today show that cigarette consumption by teenagers has reached “historic lows,” nothwithstanding warnings that the rising popularity of vaping would make smoking cool again. In an interview with The New York Times, Thomas Glynn, former cancer science director at the American Cancer Society, called the dramatic decline in adolescent smoking since the late 1990s “an astounding accomplishment in public health.” But he added that “I think we have to have alarms out” about adolescent vaping, which may yet lead to a surge in smoking. Don’t give up fear! FDA launches their latest campaign for an “adult smoking cessation education” campaign aimed at encouraging cigarette smokers to quit through messages of support called “Every Try Counts”. While the challenge will remain the same, their “tough love” approach of demonizing and shaming and nicotine guilt trips has turned into – well, a softer, kinder “positive” type of manipulation to say the same thing. Keep trying. Earlier this month, on behalf of the Freedom to Vape campaign, I submitted evidence to the House of Commons Science and Technology Committee as part of the committee’s investigation into e-cigarettes. The evidence has been published and can be read here. Click here for a list of all those who have submitted evidence. As previously reported, anti-smoking and anti-vaping activist Stanton Glantz, a professor at the University of California, San Francisco, has been accused of sexual harassment and related academic fraud, among other transgressions. The accusations appear in a lawsuit filed by his former postdoc, Eunice Neeley, who also filed a complaint with the university. Recent arrests have again shown that Thailand is serious about its ban on vaping products. The Southeast Asian country prohibits sales and importation of e-cigarettes and e-liquid. Now it is apparently enforcing restrictions on possession too. A long-awaited report about the health risks of heat-not-burn tobacco products was published this week. The gap continued to widen during November between Juul, the new top-selling U.S. electronic cigarette, and Vuse of R.J. Reynolds Vapor Co., according to Nielsen data. Wells Fargo Securities analyst Bonnie Herzog said Tuesday that Juul jumped to a 40 percent market share during the four-week period that ended Dec. 2. That’s up from 32.9 percent in October. There is a slow but gradual increase in the use of electronic cigarettes or e-cigarettes in some NE states, revealed a latest Global Adult Tobacco Survey (GATS) released last month. E-cigarette, also called vape, is an alternative to paper cigarettes which functions by heating a liquid composed of nicotine and other flavours. I’m sure you’ll all remember how plain packaging was sold to governments as a way of stopping children from taking up smoking, right? These days I think of myself as a soldier fighting a war. I wake up every day to that war. And I’m fighting for freedom. I’m fighting not so much for freedom in general, but instead for a single, very simple freedom: the freedom to sit in a pub and drink a pint of beer and smoke a cigarette. For I think that if that simple freedom is lost, all freedom is lost. 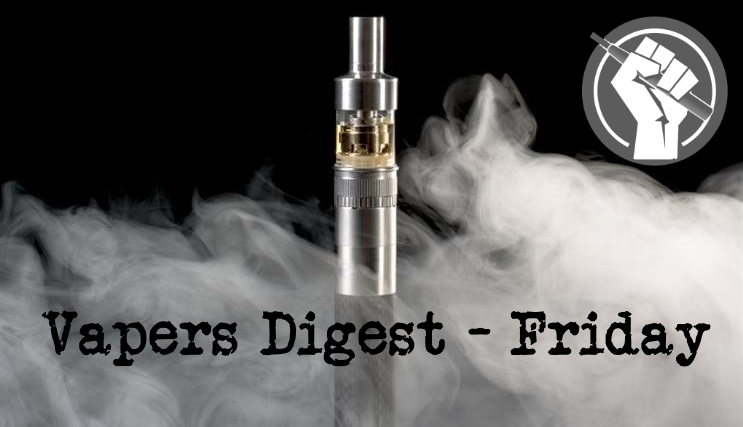 For the fifth year running, some of the biggest voices in the e-cig industry have gone out on a limb to predict the future of e-cigs next year. This year we’re delighted to bring you thoughts from scientists, public health, a documentary maker, vape activists, trade organisations, consumer organisations, bloggers and more.